Year-struck, I don’t think you are being fair. Our cold air is not all of Canada’s fault. Certainly the good folks of British Colombia, Quebec and Novia Scotia bear us no ill will, so must hold them harmless. And where do they get all that cold weather? Take a look at today’s forecast for Moscow. A balmy 12F. I’m afraid it’s a case of guilty by association. In the same way, all Americans are responsible for Miley Cyrus, Duck Dynasty, and fried cheese curds. please, I’ll gladly accept responsibility for a lot of things, but Miley? And the Duck Dudes? Nooooo! Unfortunately, that flatulence is coming down to Pennsylvania. Let’s hope your letter works. I’ll be wearing an extra pair of long johns this week just in case it doesn’t work. I am from Canada and am trying to contact the gas companies to redirect the wind. Perhaps out the north end. As usual, your icy comments are cracking me up. Thanks for your help, and thanks for reading. Thanks for being so honest with those Canadians. They always seem so nice and polite. Reblogged this on The Things I Never. Love it. This cold wind being passed from the north is getting very old. We Minnesotans are behind you in this plea. It’s been an incredibly cold month and the forecast is for more this week. You know it’s cold when it’s 10 degrees above zero and that somehow makes you happy. So sorry! We will have to stop feeding the nation anything that provokes wind. Laughing, as my teeth chatter. We’ve had ‘the vortex’ here for a week. 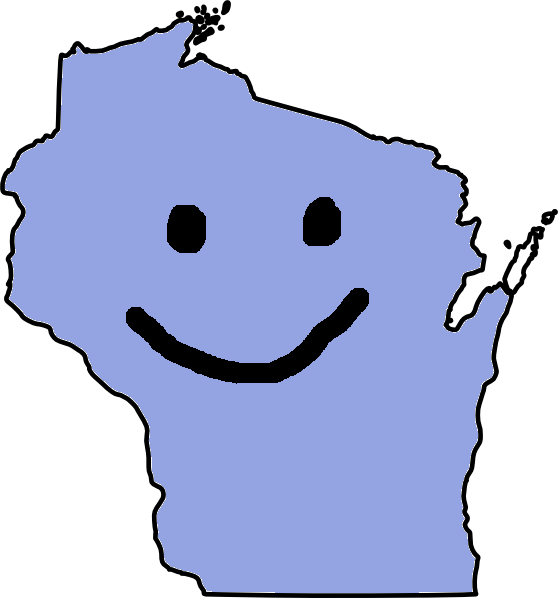 I’ve just spoken to a couple of influential Canadian friends of mine, and they said that they’d be happy to address Wisconsin’s problem; right after they’re done icing-down Hell for a hockey game..
I’ve been wanting to say these same things to Canada, but I couldn’t get past the awkwardness. Thank you for tackling this touchy situation. Must be all that Kraft Dinner… 🙂 Here’s hoping you won’t need a smaller shoe size before spring! If I end up with smaller feet, people will think I was just axing for it. you just HAD to go there, didn’t you? Good to see your wit is still sharp! Where the hell are the Fresh Press people when you need them? The must be frozen or they certainly would have found this post. Thanks, Mad Queen Linda. Once, long ago, I was Pressed and I didn’t think it was that good of a post. Today the temperature rose from -14 degrees to 0 degrees and my husband told his sister it was warming up. I’m sure there’s a name for this kind of madness. As those Pythonesque battlement-keepers of yore would say, they ‘fart in our general direction’, and it’s mighty insulting! I used to own many, many more layers of clothing during the years when we spent a portion of the winter in Edmonton, and wore nearly all of them at the same time as well. But as you’re proving, south of the border locales aren’t immune to the craziness that is polar chill. Mom did come home one day (when we lived near Chicago) a little late to open the door when my little sister got home from school and found her wedged inside the storm door with tears frozen on her face. That was the last time Mom came home at a leisurely pace! Of course, we also had the privilege of being able to lace up our ice skates in the comfort of our own porch and traipse up the street to the park where the baseball diamond was our rink, so there were a few compensations. I would have a better chance of staying warm if I could stay inside the house. Sadly, no one will pay me to do that. I am from Ontario and know full well about the origins of the windy flatulence coming from Canada. Specifically, this bitterly cold winter is coming from Toronto and emanating directly from that puffed-up, bloated ego, sorry excuse for a crack-smoking mayor we have in Toronto…none other than the infamous Rob Ford. That man’s soul is as cold as a whore’s heart! And when he blows smoke…sadly it heads your way. Mea culpa to all our American neighbours who must suffer the consequences of a fool. A very brave post, yearstricken… Such a subject is usually avoided… at least till the situation becomes unbearable. But I understand that it’s gotten unbearable in Wisconsin, and I send you all my sympathy. One can only hope that the Canadians will respect your straight forward approach, and do their best to clear the air. We keep hoping. Today it was above zero, with very little wind, so that’s an improvement. Sorry to hear of your plight. Canada should be more considerate. Having never visited, or lived in, either place, I cannot feel your pain, but as an Englishman who moved to Sweden to marry a Swede who used to live in Newfoundland… I’m sure there’s some sort of sympathy-by-proxy thing going on there. Thank you for your sympathy. And thanks for reading. I would head south if I could. It’s cruel to laugh at someone’s misery, but I did just that. Don’t feel bad, Myra. Laughter is the only sane way to deal with it. If only you’d written from the neighboring state of Michigan I could’ve said Huron the mark, and you could go to visit all the animals in the Kalama Zoo. Moving further east, a post from Ohio would’ve been downright Erie. Still, by being in Wisconsin you get to go to a pastry shop and eat all the EauClaires you want to. Greetings from frozen Alberta! While I know it is convenient to blame Canada for the cold weather, Canadians believe the source of your woes comes from Alaska, Greenland, the Arctic Ocean, and possibly even Russia! I’m afraid Canada is giving me the cold shoulder.